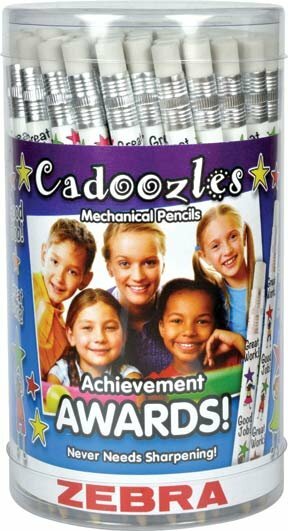 The new Cadoozle Mechanical Pencils are a great way to reward your students for their efforts! 0.9mm lead is very durable and hard to break. The shape of the barrel helps the children hold the pencil the correct way. 72 pencils total.